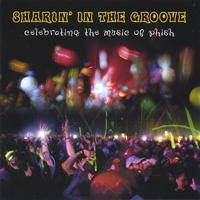 An all-volunteer group of Phish fans produced a two-disc Phish cover album, Sharin' in the Groove, which features nearly two hours of music from an impressive roster of 23 acts including: The Wailers, Dave Matthews, Jimmy Buffett, John Scofield, DJ Logic, the Boredoms, Son Seals, Merl Saunders, Arlo Guthrie, Stanford Marching Band, and Phish lyricist Tom Marshall, as well as members of the Trey Anastasio Band, Jefferson Airplane, Talking Heads, Pavement, and Los Lobos. * It was produced independently on an all-volunteer basis. * The artists played for free, and all our net revenues go to music education for children. * The contributors represent influences on Phish, rather than the other way around. * It includes 18 genres, including rock, pop, folk, bluegrass, jazz, symphony, marching band, barbershop, punk, ambient, & drum n bass. I found this CD randomly on the website and am extremely happy that I did. They have some big names doing awesome Phish songs, and bands that I'd never heard of also. But everythings high quality and very enjoyable. Be sure to check out Stanford Marching Band's version of Golgi, My Friend My Friend/Guyute by the Vermont Youth Orchestra, and Arlo Guthrie's version of Bouncing Around the Room, all of them are excellent renditions. Thank You CD Baby for opening me up to this great collection. Great Phish Tribute CD. Great Cause! Phish Tribute by a lot of different artist all for charity. Very well done! Except for the Jimmy Buffet version of Gumbo, a lot of this album is gold. I would highly recommend it to any Phan or to people looking to experience the songs without such thrilling jams.